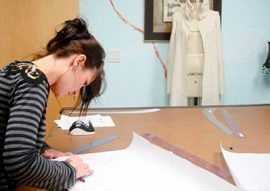 Fashion Runway offers a unique opportunity for professional Industry reputed Designers to participate in IFCs -2019. Welcome to our well planned professional fashion designer competition. Contestants must be 25 years of age or under on 30 August 2018, the deadline for all entries. Contestants must possess relevant experience in the fashion design industry is eligible for professional fashion designer competition.